There are so many directions to take your Christmas decorations this holiday season. A traditional look is always a fan favorite. 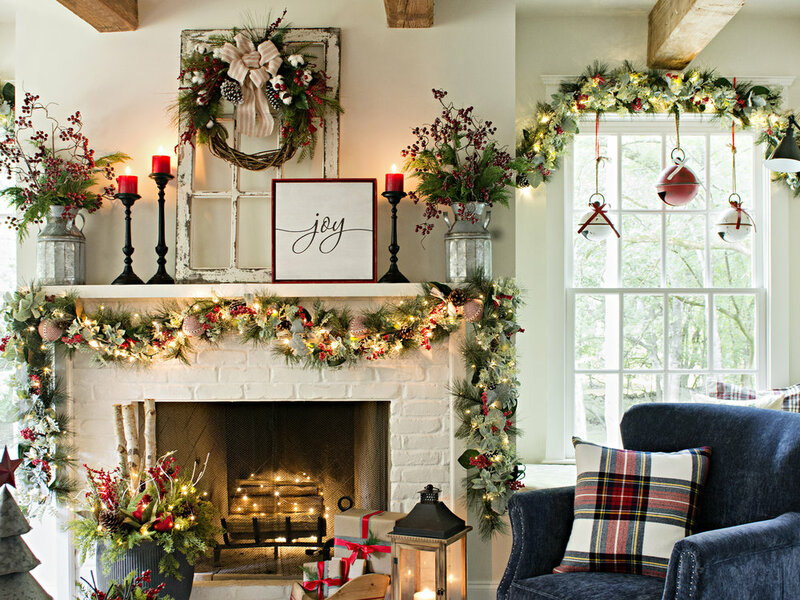 Elevating your style can transform your home into a winter wonderland. You may want to show off your fun side by trying something a little more out there. Whether you end up opting for whimsy or something that is tried and true, there are a handful of classic Christmas items that transcend any style of décor. Here are five favorites you can always count on, no matter your style. A little mood lighting never hurts anybody. Seriously, lanterns are pretty and practical. With a wide range of styles to choose from, you can find one to suit your exact needs. Looking for a traditional option? Pick out a black lantern with buffalo check accents. Searching for something sophisticated? Go galvanized. The possibilities are plenty, and each option is capable of providing both form and function. You can tell a lot about a person by their tree topper. A tree topper is one of the most eye-catching items you’ll put in your home during the Christmas season, and with consistent crowd-pleasers (angels and stars) and fresh favorites (top hats, reindeer, elf legs, snowmen and more), finding one that speaks to your soul is a relatively simple task. First impressions are important, and a wreath is a great way to welcome someone exactly how you want. Some wreaths are pre-lit with a plethora of pine cones. This Christmas classic can come with metallic accents or a frosty coating. You can display your wreaths on the front door or the back of a dining chair. You’ll be hard-pressed to find a more versatile item, but you certainly won’t be hard-pressed to find the right wreaths for your home, even if you have a slightly eclectic style. Even curling up on the couch can be a festive occasion with the right throw pillows, and there seem to be an endless amount of styles and patterns to choose from. Embrace your inner Grinch with characters from one of Dr. Seuss’ most famous works. Celebrate a simpler way of living with a red truck design. Fall in love with llamas or hipster reindeer. A normal nativity set is always a great idea, but what if you want to do something a little bit different to match your other décor? Great news! There are other choices for you! Metal silhouettes, wood blocks or pre-lit wall plaques are just a few ideas for a fresh take on the nativity scene. We’d love to see your spin on these Christmas favorites. Be sure to tag us @kirklands for a chance to be featured.